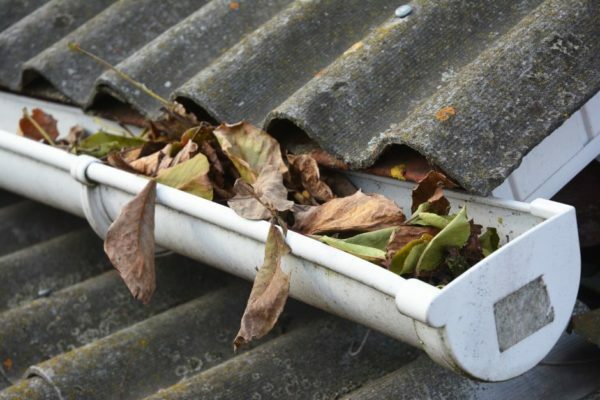 Any good handyman knows how important it is to keep your gutters clean and maintained. But, with the amount of debris that comes through our yards, keeping them clear and pristine can be easier said than done. Gutter guards are excellent tools to assist in your efforts to have clean gutters. Some homeowners are lucky enough to have purchased a home with pre-existing gutter guards; however, there’s a good chance your house is lacking. No need to worry – we’re here to help. Before we dive into some great product reviews, let’s go over the basics of gutter guards and some useful information. What Are Gutter Guards Used For? Gutter guards serve to protect your gutters from debris. They come in different shapes and forms, but they all have the same goals of letting rainwater flow through while blocking things like leaves, twigs, and trash. While gutter guards are all designed for the same purpose, they aren’t a one size fits all kind of deal. If you have decided to invest in gutter guards for your home, you should take comfort in the fact that there are several options, rather than feel overwhelmed. We’ll go into some detail on each other these options. 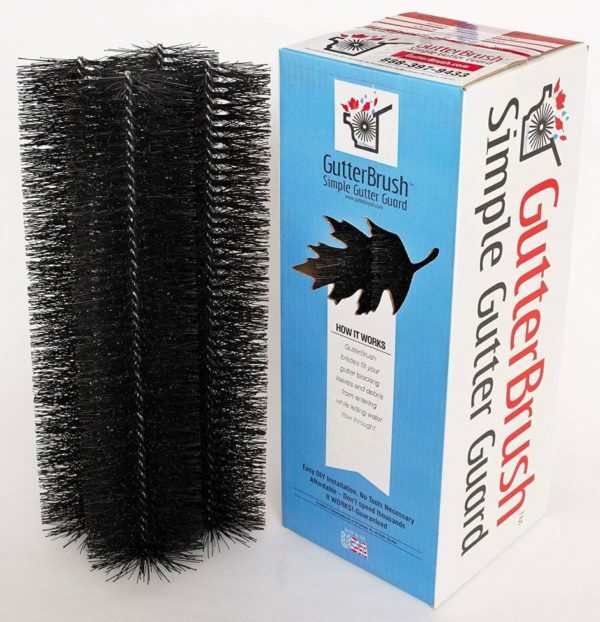 Brush gutter guards are made of bristles that kind of look like big pipe cleaners. This kind of gutter guard sits upright in your gutters with several bristles pointing upwards. They can resemble the look of a bush or a brush, hence their name. These gutter guards work by letting rain through and into the gutters but catching things like leaves in the bristles. By preventing leaves and debris from falling through, the brush gutter guard keeps your gutters clear. Unfortunately, we have found that brush gutter guards often get clogged and don’t always stop smaller debris. However, they are very simple to install. Perhaps the easiest to explain, foam gutter guards are exactly what their names paints them to be: foam. These guards fit directly in your gutters, leaving enough room at the bottom to accommodate water flow. Since they are constructed from pretty solid foam, nothing gets through these guards but water. They are generally inexpensive and easy to install. There are a few downsides to these gutter guards. For one, it’s possible for seedlings and trees to grow inside the foam—almost like soil. They can also easily get clogged from debris sitting on the top. Reverse curve gutter guards redirect debris by covering up most of the gutter. While debris hits the guard and falls off to the ground, rainwater slides down the guards and into the small opening left to the gutter. These guards are typically seen as more reliable than the previous two options. They have to be professionally installed, which can be a bit of a downer for DIYers, but it also gives you peace of mind that someone who knows what they’re doing install it. Some folks don’t like that these guards are noticeable from the ground. Installation of these tools can also void certain roof warranties, as they can lift roof shingles. Certain installation companies will also require you to buy new gutters, raising your total cost. Screens are another option that is exactly what they sound like. They are metal wired screens that sit over the top of your gutters. Their large holes allow water to get through while catching larger debris. Unfortunately, those large holes also allow smaller debris to get through. Handy homeowners will appreciate how easy installation is as well as the low cost, but clogs are inevitable and you’ll have to keep up with some fairly regular maintenance. Micro mesh is similar to screens, but the holes are much, much smaller. The beauty of this solution is that while water can still get through to the gutters, no amount of debris—large or small—can fit through the tiny holes. Micro mesh is often referred to as the best type of gutter protection. It is a pretty permanent solution, and it’s professionally installed, giving you the best results. The only thing you should look out for is the quality of the micro mesh you get. Low quality will result in rusting, breaking, etc. High-quality construction will last you a long time, even if you have to pay a little more for it. Different factors go into your personal choice for gutter guards. As you can see above, there are various styles that all have their pros and cons. One thing to consider when buying a gutter guard is whether you want to install it yourself or have it professionally done. Some gutter guards are DIY safe, while others are best installed by a trained worker. You should also think about how much you’re willing to spend to protect your gutters. Some solutions are more effective than others, but they’re usually more expensive, too. If cost plays a big role in your decision, you may have to sacrifice a little bit of quality. Finally, consider the effectiveness of a product. Sure, the various styles have general levels of effectiveness, but specific products will also have their pros and cons. A high-quality foam guard can be just as good as a low-quality screen. It’s much easier to decide once you’ve learned a little bit about it. I was completely lost on how to select the right gutter guard until I actually gained some knowledge on the subject. Now that you know some more let’s take a look at some of our favorite gutter guards. Sometimes, rather than lining your entire gutter system with gutter guards, it’s easier to focus on the ends where all of the water flows down to the ground. 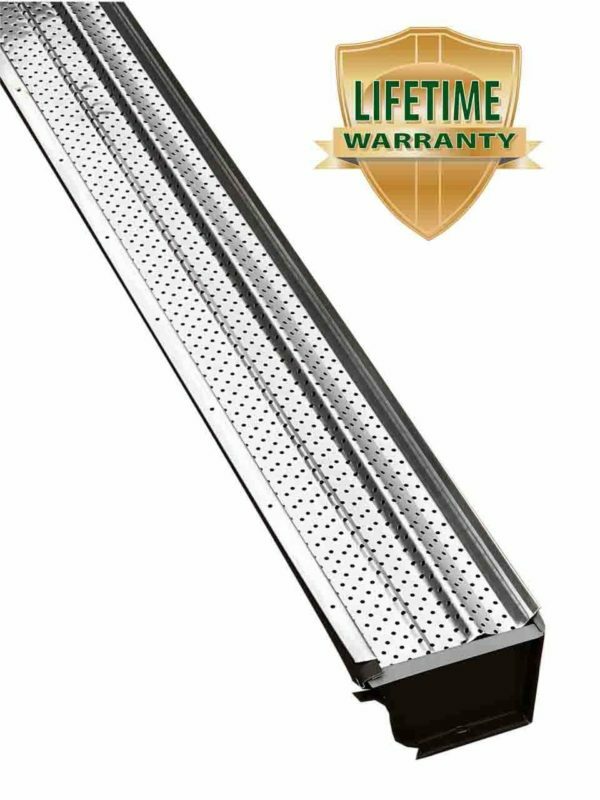 The Massca Gutter Guard Aluminum Filter Strainers are designed to save you time and effort. These rounded, cage-like aluminum filters fit directly into corner holes where the water drops down. 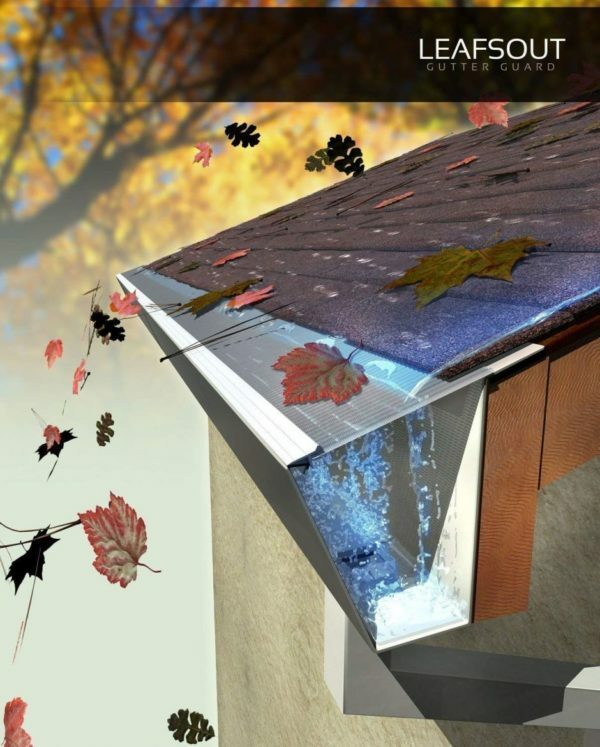 The screen blocks out any leaves or debris floating in your gutters, only allowing the water to get through. 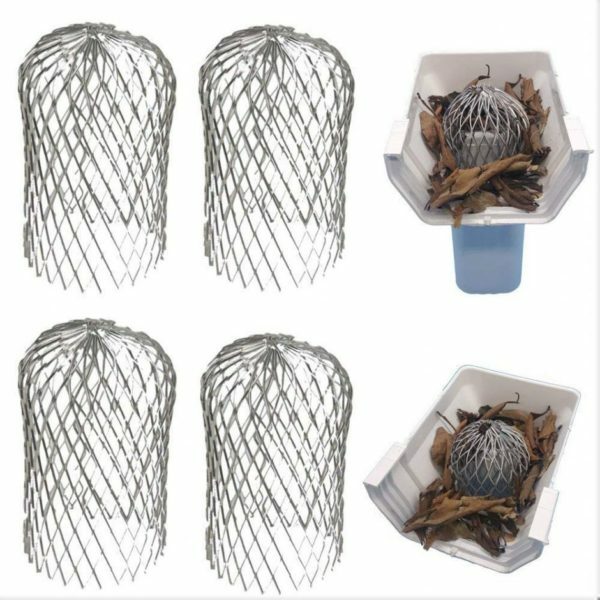 Installation is a breeze with these strainers because you don’t need any tools or hardware. Just push them into place, and they’ll do all the work for you. The non-corrosive, weatherproof aluminum will last you a long time, saving you money and effort. When the debris starts to pile up, it’s easier to clean because it all goes to one place. If you’re looking for a quick, easy fix, foam gutter guards are the way to go. GutterStuff has a quality product Foam Gutter Filter Insert. This insert is perfect for handymen who are a little unsure in this area of home maintenance because there is very little technical work. 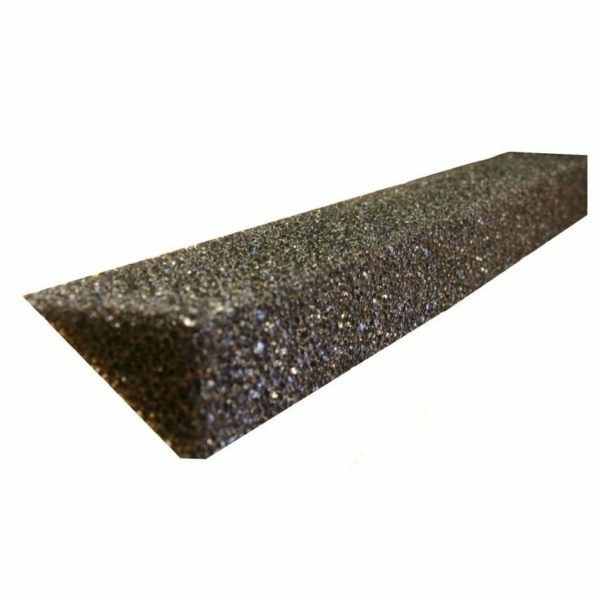 Easier than any other gutter guard, you can insert these foam pieces right into your gutters without tools, screws, or nails. This leaves no mess and no permanent damage to your existing gutters while also saving you time, efforts, and frustration. The foam acts as a guard to keep all solid debris out of your gutter. In the meantime, water seeps through the foam and to the gutter below, where there is plenty of space for it to flow freely down to the ground. Since this guard sits inside of your gutter, you can’t see it from the ground, so you don’t have to worry about it disturbing your home’s outdoor aesthetic. Easily blocks out large debris like leaves, twigs, etc. Dirt can accumulate in the foam over time, causing blockages. Aluminum is the perfect solution to gutter protection because it won’t rust or deteriorate, meaning you can be confident in your purchase. The A-M Aluminum Gutter Guard is not only durable in terms of quality but also when it comes to heavy rain. The firm material can take on downpours without shifting or taking on damage. This guard holds 380 holes per foot, giving plenty of access to water but keeping debris out of the gutter. Designed to be hidden, this guard is discrete and not viewable from the ground. While it’s doing its job, it won’t be an eyesore on your property. Installation is as simple as a few screws. It won’t disrupt your roof shingles, leaving you worry-free. Micro mesh is a great way to keep out even the smallest debris while still letting the water run through. LeafsOut Micro Mesh Gutter Guard System is made from durable stainless steel that’s built to last. While other products can fade and degrade through varying weather and harsh sunlight, this one stands strong. Since this mesh installs under roof shingles, sizing isn’t an issue. In general, this product is one size fits all and will work with a variety of gutters and roof types. However, if you’re still feeling unsure, you can order just a sample of this gutter guard to try out on your home before you make the full commitment. This gutter guard mesh lets debris, leaves, twigs, and even insects from holding up in your gutters. If you’re a fan of the simplicity of the brush style gutter guards, the GutterBrush Leaf Gutter Guard is an excellent choice. The cylinder-shaped bristles sit directly inside of your gutter. Installation is super easy—all you have to do is insert the brush guard into your gutters for instant protection. High-quality polypropylene bristles keep debris and leaves from collecting in your gutters. They are tough and durable, attached to a steel wire core, and are great for do it yourself kind of handymen. With several length options and packages, you can use these guards to fill out the entirety of your gutters or just for end protection. At a great price, you can’t go wrong with simple, cheap, and effective. The LeafTek Gutter Guard Leaf Protection was made for your convenience—easy enough to install yourself. Made from heavy aluminum material, these durable, grated sheets are built to last. While LeafTek Gutter Guards may look similar to other guards of its type, several innovations make it a top choice. For one, the sheets feature a raised vented ridge design. This specially made detail allows for downward airflow, which helps to dry out your gutters after a rainstorm. Dry gutters mean fewer mosquitos, pests, and rotting. The airflow also helps to dry the debris sitting on top. When it’s dry, a slight breeze can blow it off. The small holes handle hard downpours while keeping everything out—leaves, insects, twigs, and more. You install this gutter guard using the included stainless steel matching screws. Not only does installation happen without touch your shingles, but the screws actually help strengthen your gutters. Various size options let you choose a more customized fit. You can even order a sample to see if you like this product first. As you can see, there are many different and varying options in terms of gutter guards that all have their own specialties as well as their downfalls. 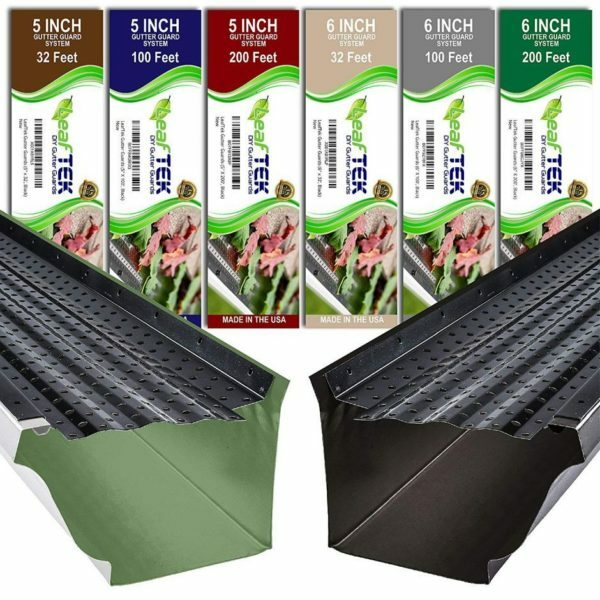 After trying each other these products out, we found the LeafTek Gutter Guards to be most effective. With an easy, DIY installation that doesn’t mess with your shingles and is easy to maintain, you can’t go wrong. What really won us over was the excellent customer service that you get along with the product. The LeafTek does its job, keeping debris out with little maintenance on your part after installation. In the end, the choice is yours. Use this guide to solve your gutter clogs and debris messes.